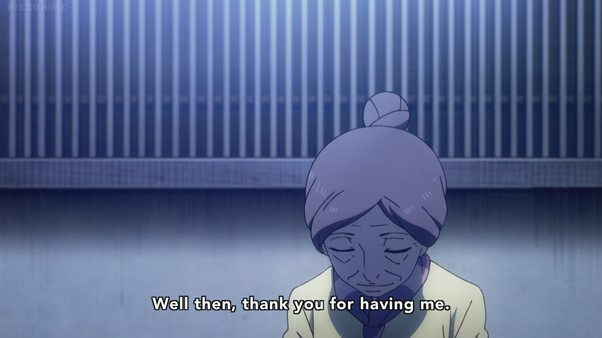 After nine episodes of exploring human nature and trying to navigate the fairly dense topic of judging a life objectively, Death Parade finally reaches it critical tipping point. 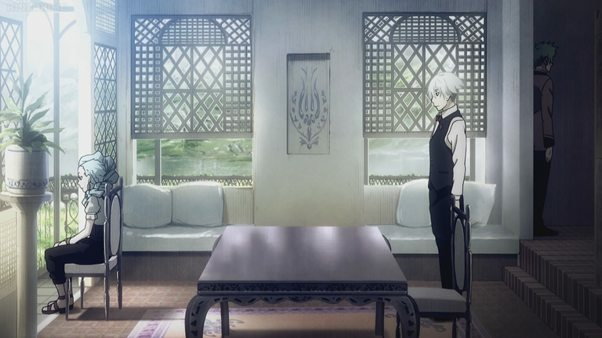 It is now or never – over the course of the next two episodes, Decim must pass judgement over the Assistant, Chiyuki. Decim himself has grown a great deal over the course of the season, especially the last few episodes which have placed his rules and principles under unusual duress. Chiyuki’s trial and sentencing, so to speak, will test him further because even if he doesn’t realize it just yet, the humanity in him will have grown attached to Chiyuki and as countless works of fiction have established, passing judgement on a friend or loved one can be the most difficult thing in the world. This episode, ‘Story Teller’ is the polar opposite of last week’s charged, violent proceedings and the change is very welcome; it gives the characters a chance to really reflect and internalize the lessons that the previous episodes’ encounters taught them and begins to set the scene for the plot’s final resolution. The elderly Sachiko is perhaps the oldest participant featured thus far and while it would be erroneous to conflate her age with her more easy-going attitude, it does feel as though her age has given her a perspective on life that is in stark contrast to the more volatile participants of past episodes. She is also one of the most unambiguously ‘good’ characters on the show and is perhaps the first character in the last half dozen episodes to enter Decim’s elevator at peace. The change is certainly refreshing and a clear sign to both the audience and the show’s creators that Death Parade doesn’t need to rely on inflicting mental and physical agony on its characters in order to be entertaining. From the outset, it’s clear that she is exactly as she appears – a kindly old woman who simply passed away. There was no drama, no violent misfortune, and no terrible tragedy involved, at least as far as the audience is told. Yet, Nona refers to her as a ‘special guest’ and while she doesn’t elaborate on why, we know enough to make some educated guesses. The story of ‘Chavvot’ has appeared regularly in this show – it is in the opening song, it is in the closing song and we have seen both Nona and Chiyuki read it at different points in time. The story of Chavvo and Jimmy is a beautiful one despite, or perhaps as a result of, its simplicity. It would seem that Sachiko’s purpose in this episode and the reason for her special status is that she knows this story and can thus recognize it on the Decim’s game selection panel and thus jog Chiyuki’s memory. Perhaps that’s a little underwhelming for a guest heralded as ‘special’ but in all fairness, Nona hardly made a big deal of it and we have yet to see just how closely the children’s story is connected to the overall plot. 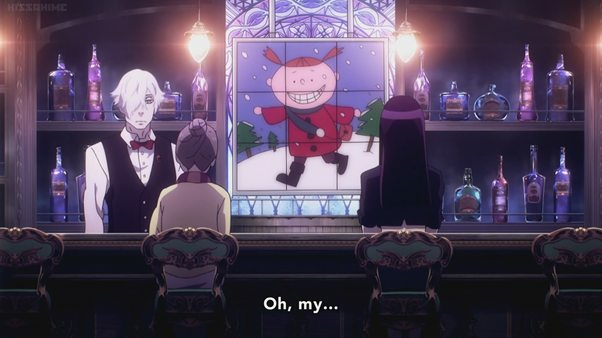 For instance, we now know that Chiyuki loved the story and that her mother read it to her regularly but why does Decim has an image of it in his bar? For that matter, do we know that the image is his and not Quin’s? Throughout all of this, Nona is playing her own game. Unbeknownst to most of the characters, she has inserted the ability to feel human emotions into Decim, ostensibly to shake up the judgement system and demonstrate that there is a better way of doing things but that explanation is problematic itself. Why does Nona feel the need to change things when the none of the other Arbiters (or senior Arbiters) do? Clearly, she is herself in some way special but her goals are still something of a mystery as are her intentions towards Chiyuki. With Oculus primed to take the main stage in the final episodes, it will be very interesting to see how the conflict between Oculus’ more jaded rigidity and Nona’s seemingly benevolent innovation pans out. In previous episode discussions, we have considered how the Arbiters’ method of judgement can create darkness instead of revealing it and it was a conclusion that the show hinted at early on but has done a tremendous job of illustrating and building up. Last week’s emotional hurricane delivered the message especially well that under the right circumstances, even a good human can snap and that that outburst is not truly representative of their character and who they were in life. There was period early in the episode where it was yet unclear whether the show would need one final victim before considered it’s point well and truly made, but thankfully, Sachiko was spared the pain and misery of the Arbiters’ cruel games. 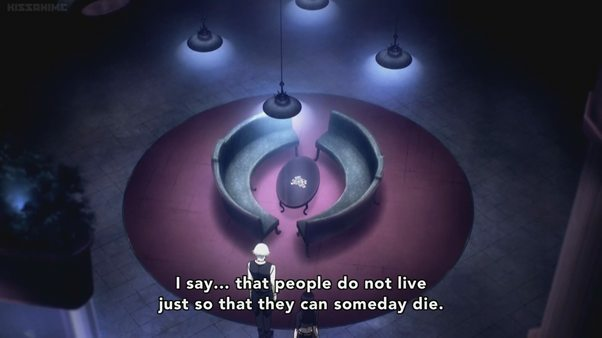 Decim’s acknowledgement that life is precious and has value outside of the judgement that the Arbiters pass has been discussed (probably better) in a plethora of philosophical works and isn’t interesting on its own; what will be interesting however, is how this acknowledgement shapes his actions given the context and constraints the character finds himself in. Clearly, the judgment process will not just end – the entire show is centred around the system and even if it weren’t, acknowledging that life is meaningful does not mutually exclude the need for separating the good from the bad. 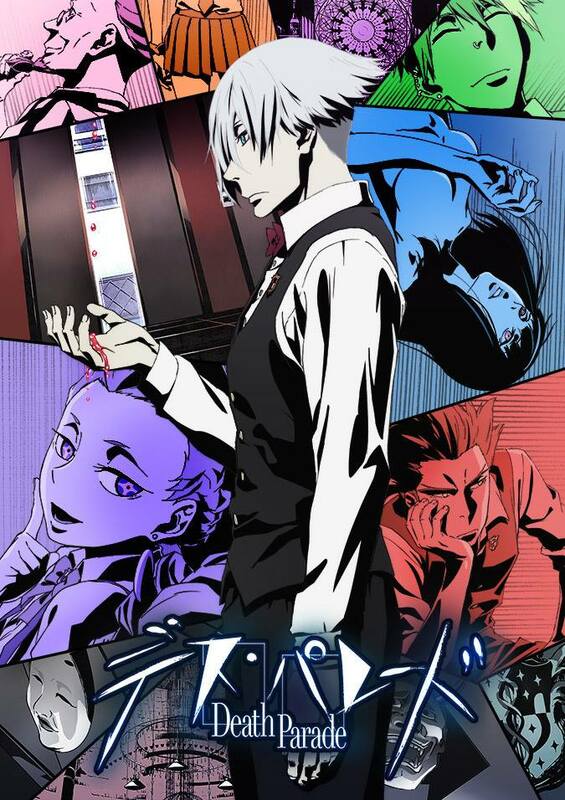 However, it could be a wonderful high point for the show if it could deliver an excellent scene centred on how Decim’s perception of the value of the judgement itself has changed. Yet, even as Decim delivers what in other contexts might be considered a three week notice prior to resignation, the question of what the alternative methodology is, lingers on. Nona challenges Decim to judge Chiyuki without drawing out her darkness, and perhaps that’s for the best – it would be heart-breaking to watch Decim have to dissect Chiyuki’s psyche put her through the wringer just for the sake of the judgement. Whether or not Oculus will accept whatever new methods Decim comes up with, remains to be seen.